The Tourism Authority of Thailand (TAT) has announced granting a visa-on-arrival fee waiver for tourists from 20 countries, including India. From November 15, 2018 to January 13, 2019, citizens of Andora, Bulgaria, Bhutan, China (including Taiwan), Cyprus, Ethiopia, Fiji, India, Kazakhstan, Latvia, Lithuania, Maldives, Malta, Mauritius, Papua New Guinea, Romania, San Marino, Saudi Arabia, Ukraine and Uzbekistan will be exempted from the 2,000 Baht visa-on-arrival fee for the purpose of touring in Thailand for not more than 15 days. 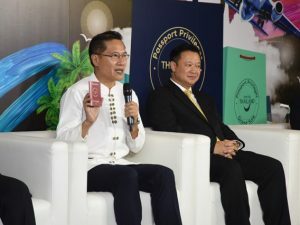 Yuthasak Supasorn, Governor, TAT, said, “This is good news for Thailand’s tourism industry as we’re preparing a range of year-end activities and promotions, including the launch of Amazing Thailand Grand Sale ‘Passport Privilege’ during the same period.” Tourism promotions and events in the pipeline between now and January next year also include the New Year Electronic Music Festival in Pattaya from December 30-31, and TAT will hold the countdown celebration in five destinations in the five regions of Thailand: Chiang Rai in the north, Nakhon Phanom in the northeast, Ratchaburi in the central region, Satun with its world-renowned geopark in the south and Sa Kaeo in the east. The Tourism Authority of Thailand (TAT) announced that Thailand has been named as the host country for the 19th International Indian Film Academy Awards (IIFA Awards), which is scheduled to be held in Bangkok from 22-24 June, 2018. This makes the second time the Thai capital plays host to the biggest celebration of Indian cinema, having hosted the 9th IIFA Awards on 8 June, 2008. Yuthasak Supasorn, TAT Governor, said, “India is one of Thailand’s important sources of visitor markets. Being named as the host country for the glitzy and glamorous IIFA Awards for the second time reiterates Thailand’s positioning as the preferred destination among Indian travellers.” Wizcraft International, the producers and creators of the IIFA, made the official announcement at a press conference held in New Delhi on 17 May, 2018. Making the appearances to confirm Bangkok as the host city for this June’s star-studded weekend included Bollywood bigwigs Ranbir Kapoor, Karan Johar, Dia Mirza, Shahid Kapoor and Kartik Aaryan. 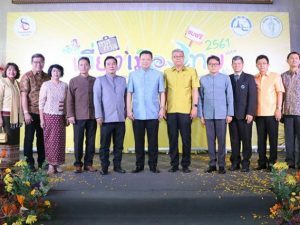 Tourism Authority of Thailand (TAT) expects around 13,200 travellers for the New Year holiday period for which a series of celebrations are in store. To memorably celebrate the nation’s Thainess and to incorporate tributes to the Thai monarchy as well as the happiness of the Thai people into the New Year celebrations this year, a traditional candle lighting and prayer ceremony, called Sang Thien Haeng Siam or Candlelight of Siam, will take place at Bangkok’s Sanam Luang and various locations nationwide and overseas on 31 December. 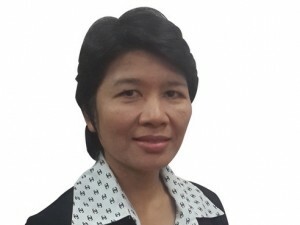 Soraya Homchuen, Director of the Tourism Authority of Thailand in Mumbai commented, “Thailand will usher in 2017 with ‘the Candlelight of Siam’, which is a traditional ceremony that aims to encourage Thai people to preserve important features of Thai society, especially the nation, religion, and the monarchy. We would like to extend an invitation to our guests from India to join us for this ceremony and get an experience of a lifetime.” Globally, TAT expects to welcome around 375,000 international arrivals, up by five percent during the New Year holiday period (31 December, 2016 – 3 January, 2017), generating tourism revenue of around 55.5 billion Thai Baht or up by 12 percent from last year.